What is an MRI (magnetic resonance imaging)? What are the uses for an MRI? What are the risks and side effecs of an MRI? How do I prepare for an MRI? How is it performed? When do I receive the results of an MRI? What does an MRI look like (pictures)? What new MRI scanners available? Magnetic resonance imaging or MRI scanning uses magnetism, radio waves, and a computer to produce images of body structures. MRI scanning is painless and does not involve x-ray radiation. Patients with heart pacemakers, metal implants, or metal chips or clips in or around the eyes cannot be scanned with MRI because of the effect of the magnet. Claustrophobic sensation can occur with MRI scanning. An MRI or magnetic resonance imaging is a radiology techinque scan that uses magnetism, radio waves, and a computer to produce images of body structures. The MRI scanner is a tube surrounded by a giant circular magnet. The patient is placed on a moveable bed that is inserted into the magnet. The magnet creates a strong magnetic field that aligns the protons of hydrogen atoms, which are then exposed to a beam of radio waves. This spins the various protons of the body, and they produce a faint signal that is detected by the receiver portion of the MRI scanner. A computer processes the receiver information, which produces an image. 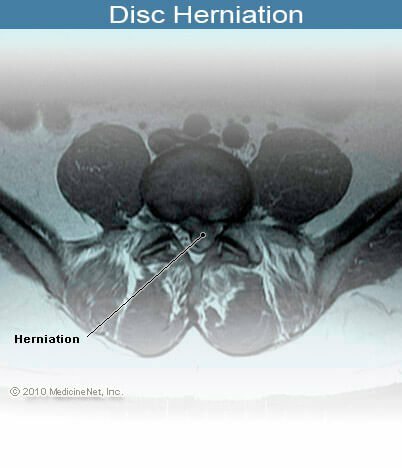 MRI image and resolution is quite detailed, and it can detect tiny changes of structures within the body. For some procedures, contrast agents, such as gadolinium, are used to increase the accuracy of the images. An MRI scan can be used as an extremely accurate method of disease detection throughout the body and is most often used after the other testing fails to provide sufficient information to confirm a patient's diagnosis. In the head, trauma to the brain can be seen as bleeding or swelling. 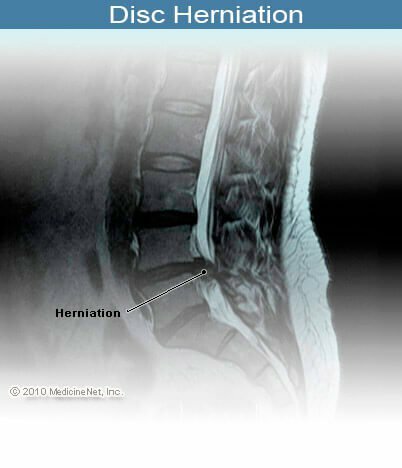 Other abnormalities often found include brain aneurysms, stroke, tumors of the brain, as well as tumors or inflammation of the spine. Neurosurgeons use an MRI scan not only in defining brain anatomy, but also in evaluating the integrity of the spinal cord after trauma. It is also used when considering problems associated with the vertebrae or intervertebral discs of the spine. An MRI scan can evaluate the structure of the heart and aorta, where it can detect aneurysms or tears. MRI scans are not the first line of imaging test for these issues or in cases of trauma. It provides valuable information on glands and organs within the abdomen, and accurate information about the structure of the joints, soft tissues, and bones of the body. Often, surgery can be deferred or more accurately directed after knowing the results of an MRI scan. An MRI scan is a painless radiology technique that has the advantage of avoiding x-ray radiation exposure. There are no known side effects of an MRI scan. The benefits of an MRI scan relate to its precise accuracy in detecting structural abnormalities of the body. Patients who have any metallic materials within the body must notify their physician prior to the examination or inform the MRI staff. Metallic chips, materials, surgical clips, or foreign material (artificial joints, metallic bone plates, or prosthetic devices, etc.) can significantly distort the images obtained by the MRI scanner. Patients who have heart pacemakers, metal implants, or metal chips or clips in or around the eyeballs cannot be scanned with an MRI because of the risk that the magnet may move the metal in these areas. Similarly, patients with artificial heart valves, metallic ear implants, bullet fragments, and chemotherapy or insulin pumps should not have MRI scanning. During the MRI scan, patient lies in a closed area inside the magnetic tube. Some patients can experience a claustrophobic sensation during the procedure. Therefore, patients with any history of claustrophobia should relate this to the practitioner who is requesting the test, as well as the radiology staff. A mild sedative can be given prior to the MRI scan to help alleviate this feeling. It is customary that the MRI staff will be nearby during MRI scan. Furthermore, there is usually a means of communication with the staff (such as a buzzer held by the patient) which can be used for contact if the patient cannot tolerate the scan. All metallic objects on the body are removed prior to obtaining an MRI scan. Occasionally, patients will be given a sedative medication to decrease anxiety and relax the patient during the MRI scan. MRI scanning requires that the patient lie still for best accuracy. Patients lie within a closed environment inside the magnetic machine. Relaxation is important during the procedure and patients are asked to breathe normally. Interaction with the MRI technologist is maintained throughout the test. There are loud, repetitive clicking noises which occur during the test as the scanning proceeds. Occasionally, patients require injections of liquid intravenously to enhance the images which are obtained.The MRI scanning time depends on the exact area of the body studied, but ranges from half an hour to an hour and a half. After the MRI scanning is completed, the computer generates visual images of the area of the body that was scanned. These images can be transferred to film (hard copy). A radiologist is a doctor who is specially trained to interpret images of the body. The interpretation is transmitted in the form of a report to the practitioner who requested the MRI scan. The doctor can then discuss the results with the patient and/or family. Scientists are developing newer MRI scanners that are smaller, portable devices. These new scanners apparently can be most useful in detecting infections and tumors of the soft tissues of the hands, feet, elbows, and knees. The application of these scanners to medical practice is now being tested. REFERENCE: NIH. Magnetic Resonance Imaging (MRI).